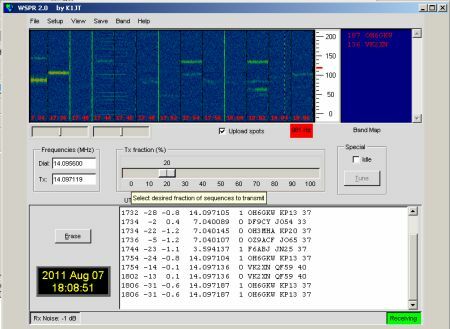 WSPR stands for Weak Signal Propagation Reporter. This is a great piece of software that can be used to check how far out your signal can carry. Although it can be used on FM and UHF, it’s primarily a tool that’s used for HF, with most of the activity on the 40 metre and 20 metre HF bands. The system is incredibly good as detecting weak signals, and rejecting interference and noise. It can’t be used for any two-way discussion – just as a tool for checking how far your rig and antenna can carry your signal. The software runs on a PC that’s connected to your HF rig. 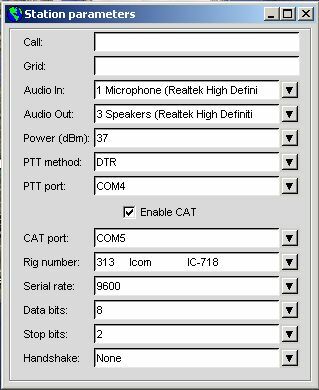 The software tunes your rig to the appropriate frequency, then puts out a WSPR broadcast, which includes your callsign, location and power. It then listens for other broadcasts. 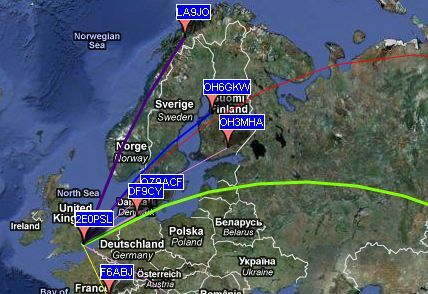 Other amateurs around the world have similar set-ups and use their rig and radio to listen for the WSPR broadcasts and decode them. 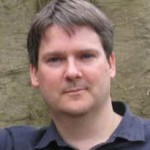 The software uploads the details of who it hears to the Internet. 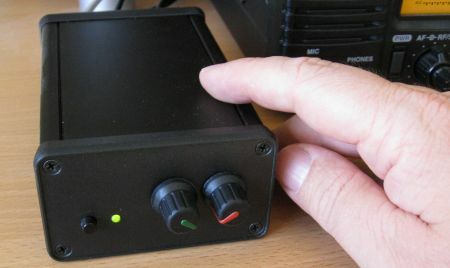 A way of connecting the rig to a computer. In some cases this could be an interface box. 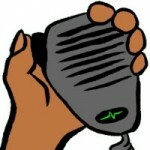 The interface needs to be able to put the radio into transmit mode and change frequencies. It also needs to connect from the radio to the PC’s soundcard, for the audio. This can be the tricky bit, and to be honest, there are websites out there far better suited to helping with PC-to-Ham Radio issues. 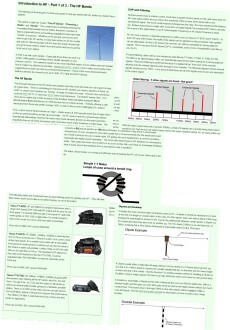 All I can really help with, is telling you how I did it with my setup: icom ic-718 HF rig and Windows 7 PC. With the connections in place, it’s then a case of setting up WSPR to talk to your rig. For me, there was a lot of trial and error here, not helped by the fact I didn’t read the manual. 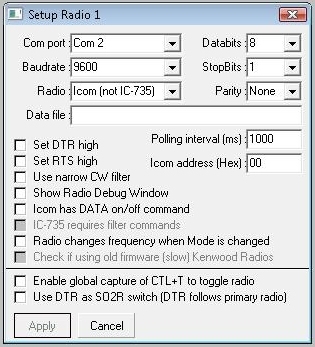 Here are the settings I used in WSPR using the icom ic-718 and Digimaster Pro + interface, but please read on before trying it, as there are some gotchas that may lead you to believe it’s not working, when it is! From the screenshot below, you’ll see a TX slider. This is calibrated in percentages, and determines when you transmit. By default this is 20%, meaning it will transmit once every five cycles – In other words it listens for 8 minutes, transmits for 2 minutes, then listens for 8 minutes. Once everything is connected, and you know what you’re doing, it’s a case of picking a band to use – 20 metres seems the most active, and trying it. I found it was a good idea to use the “TX Slider” and set it to 0% – meaning I’m in Receive-Only mode. I then left it alone and waited for an even minute to start. The software reports “Receiving” in the bottom right, and nothing happens for two minutes. Then it decodes, and shows a slice of what it received. That’s the basics of how I got the service to work. There are some other clever things that WSPR can do, but this brief “how to” guide should get you to the point where you can put out a call, and see how far around the world that signal can reach. In my first day of testing, I got to Japan and Australia, mainly as the conditions were perfect. I’d stand no chance of doing voice over that distance, but a WSPR signal can make it where ordinary audio can’t be heard. If you have any questions, please add a comment below, and if I can help, I will. If you mean register with wsprnet mine took nearly a month. WSPR on android phone.Whats that all about?